Grew Up… raising hell. Dwight was a wild child in his youth, prone to drug-fueled benders and violent confrontation. He’s gotten mellower as he’s grown older and now tries to keep himself out of trouble, although that’s easier said than done. Living… in an unnamed portion of Basin City near his girlfriend Shellie. Dwight mostly keeps to himself. Profession… unemployed. Dwight gets what he needs to survive by performing favors for his various allies. He’s strong, fast, and good with a gun – traits that take you as far in Sin City. Interests… old cars, trench coats, and great looking sneakers. Dwight hasn’t had to cultivate many hobbies since he’s forced to spend most of his time trying to wriggle out of the trouble. Relationship Status… currently dating Shellie, a bartender at Sin City’s most infamous watering hole, Kadie’s. She’s beautiful, sweet, and in love with Dwight – she’d be perfect if it weren’t for her ex-boyfriend, Jack Rafferty. An abusive sociopath who is nonetheless known as a “hero cop,” Jack just can’t seem to leave Shellie alone. Challenge… preventing a war between Sin City’s prostitutes and police. The conflict started after Dwight unceremoniously dunked Jack Rafferty’s head in a toilet in an effort to “persuade” him to leave Shellie alone. To retaliate, Jack Rafferty drove to Old Town and threatened a prostitute – causing him to be killed before anyone recognized him as a cop. His death threatened to break the long-standing peace between the Old Quarter prostitutes and the Basin City Police Department, a potentially bloody and brutal conflict. 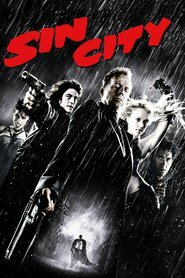 Eager to help his friends in Old Town, Dwight volunteered to dispose of Jack’s body, but certain forces in Sin City are hungry for war and would kill to keep Rafferty unburied. Personality… cool-headed and reasonable. Dwight is an everyman compared to most of the colorful denizens of Sin City. He tries to do the right thing but he isn’t impervious to lust and greed. Dwight McCarthy's popularity ranking on CharacTour is #3252 out of 5,000+ characters. See our top-ranked characters and read their profiles.